It’s time to travel the trails! Select a trail below and be on your way. Before you go, map out a morning or an entire day of discovery. 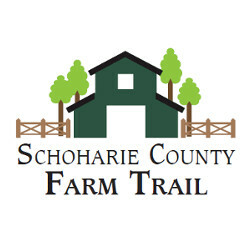 Visit the sites along the trails, learn more about Schoharie County, its rich cultural traditions, and explore the many places that make this area unique. As you explore all the region has to offer, take photographs and share your stories with us. 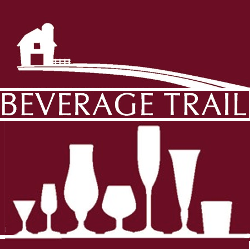 The Schoharie County Quilt Barn Trail, Beverage Trail and Farm Trail are the first of many trails to come. Are you interested in blazing new trails with us? 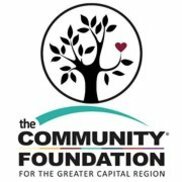 Become a Sponsor or Volunteer today! What would you do with some graph paper, a few pieces of plywood, Frogtape, and three or more cans of Benjamin Moore paint? If you live or work in Schoharie County, chances are you might paint a barn quilt block. After devastating flooding caused by Hurricane Irene and Tropical Storm Lee hit local communities in 2011, quilter Virginia “Ginny” Schaum began a quilt barn trail movement to bring hope and economic revival to a region struggling to get back on its feet. 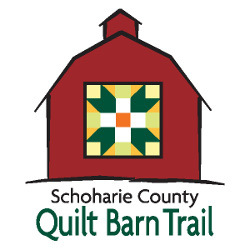 Schaum co-founded the Schoharie County Quilt Barn Trail in 2012 with another local quilter Sharon Aitchison. Today, SCQBT committee members, with the help of volunteers and local residents, have installed over 100 quilt blocks throughout the County celebrating art in the open air. Begin the Schoharie County Beverage Trail with a scenic drive to Charlottesville, New York, home of KyMar Farm Winery & Distillery, the first licensed distillery in Schoharie County since prohibition! From there, head on over to Middleburgh’s 1857 Spirits at Barber’s Farm, one of the only American distilleries growing its own potatoes and using its own spring water for its farm-to-bottle potato vodka! From there, visit Green Wolf Brewing Co., a licensed Farm Brewery known for its artisan ales and uncommon brews. Be sure to bring a designated driver on this trail! Passion, art, creativity, and renaissance, may not be the first words that pop into your head when thinking about agriculture, but these are the words farmers in Schoharie County are using to describe how they feel about making a living off the land. The Trails to Tales Farm Trail takes you behind the scenes to meet with the creative, innovative, and passionate people who farm the fertile hills and valleys, some of whom have been here for only a few decades, and others who have roots that go much deeper, dating back several generations! On this trail, learn more about the farmers who grow the healthy and abundant crops that fill your table and experience the stories they want to share with you!